What does Cinnamon bring to the desktop? 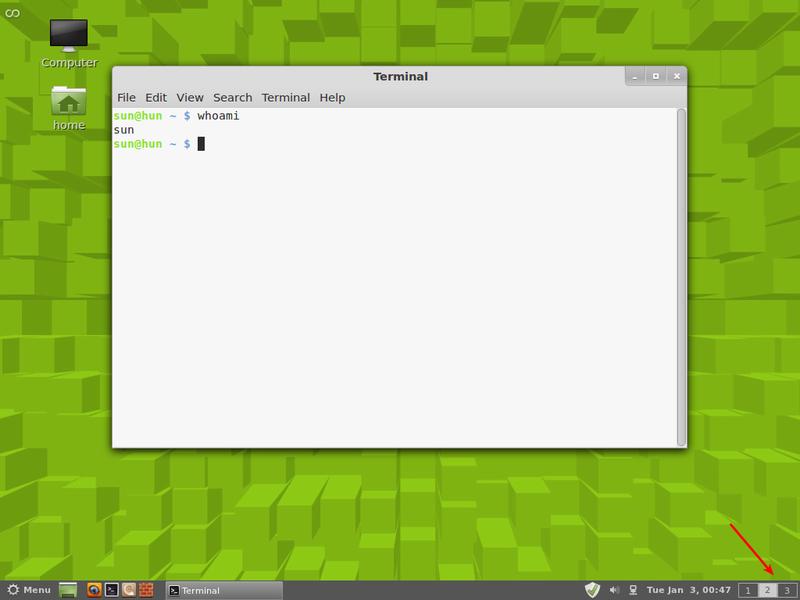 So the GNOME 3 side of the Linux/BSD desktop is a mess at the moment. 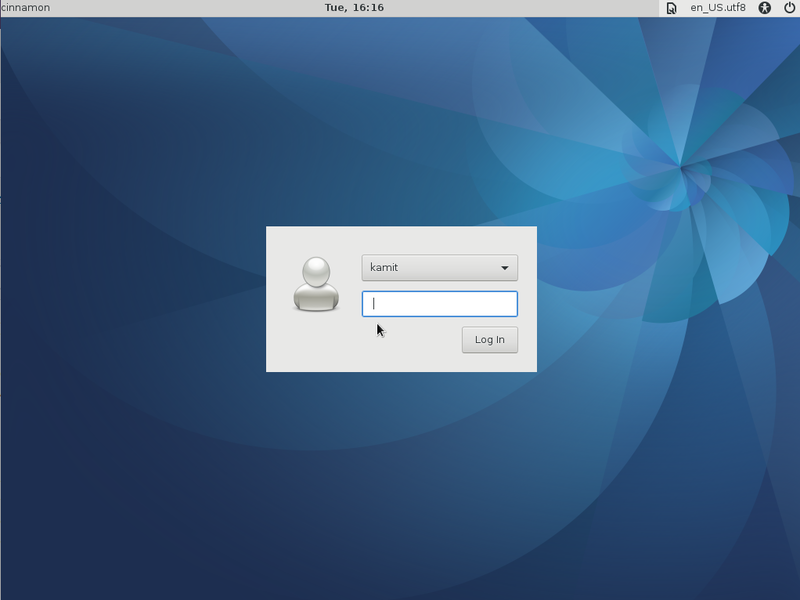 The messy situation has led to the development of MATE, a fork of GNOME 2. 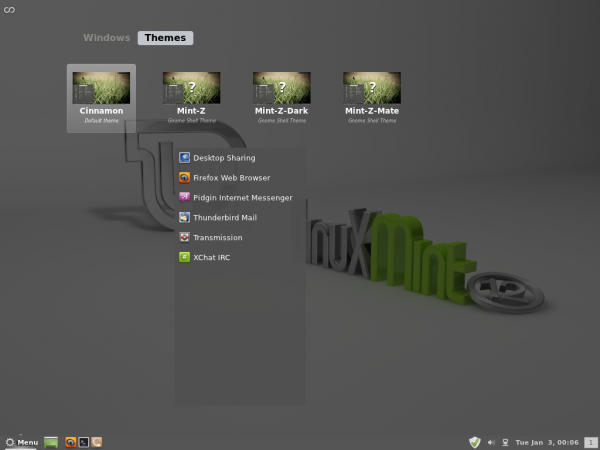 It also prompted Linux Mint‘s development team to make GNOME 3 more user-friendly than the stock GNOME 3 desktop. That effort, GNOME 3 + MGSE (Mint GNOME Shell Extension), was a good attempt, but in many ways, made things even more convoluted. 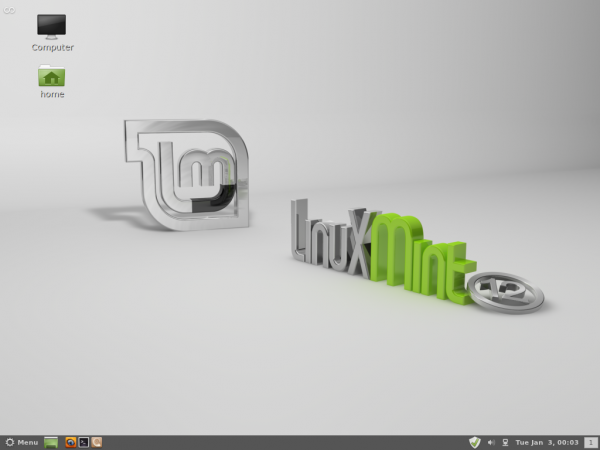 I wrote about as much in my review of Linux Mint 12 (see Linux Mint 12 review). 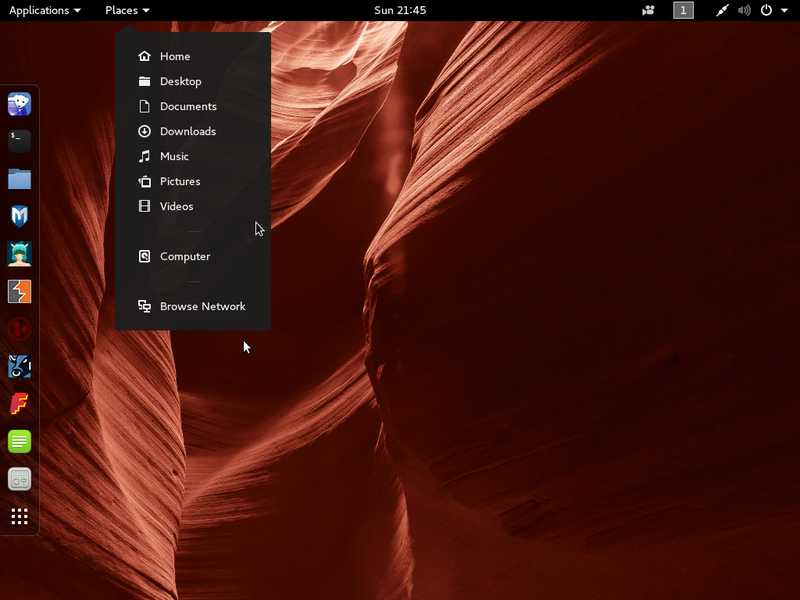 Cinnamon is another attempt to make the GNOME 3 desktop acceptable to those in the community who have so far refused to have an unpalatable substance rammed down their throats. While MATE is a fork of GNOME 2, Cinnamon is a fork of GNOME 3 Shell. 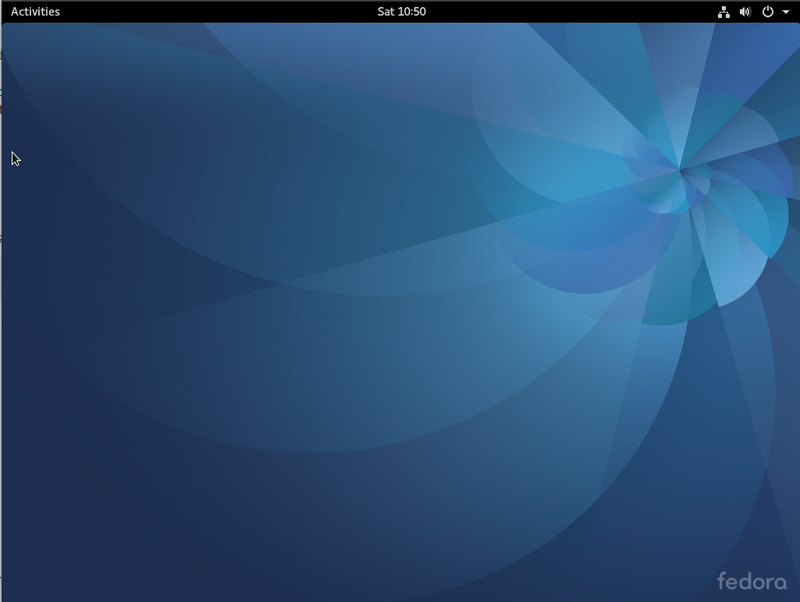 And though better than the other attempts, it does not really represent a sharp break from GNOME 3 + MGSE. 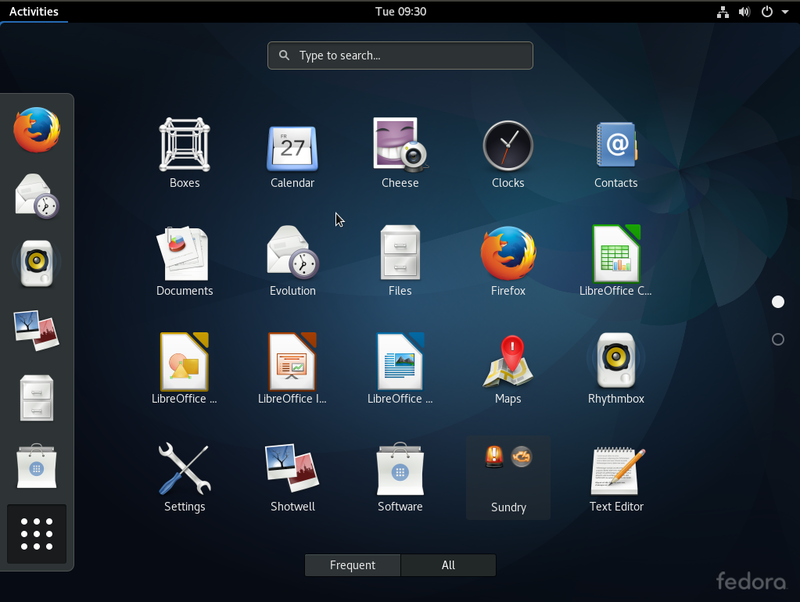 Imagine GNOME 3 + MGSE without the Applications view or menu, and you have Cinnamon. The last two updates added some much needed configurations options to the menu, but much still needs to be done. For example, the Activities/Themes view should be completely removed. 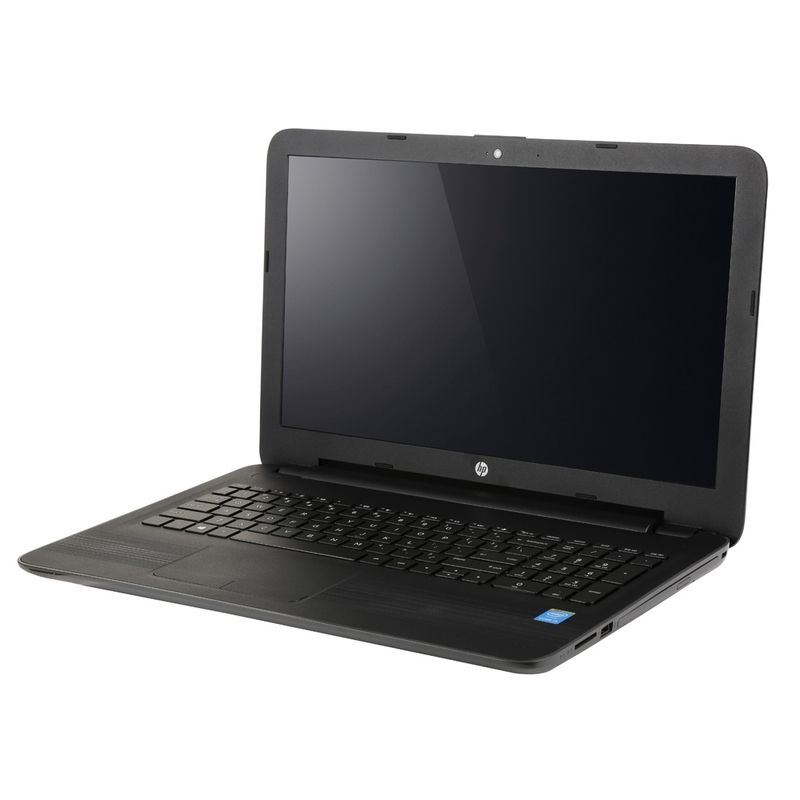 With a standard-style menu and a bottom panel with workspaces, Activities no longer serves any useful purpose. In fact, the Activities view is more a distraction on the desktop. 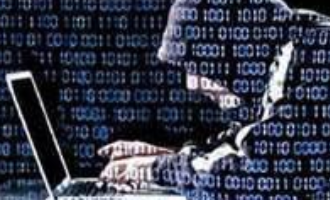 Also, the number of workspaces or virtual desktops is not fixed, so any time you open an application in a workspace, a new workspace is created. This is not nearly as bad as Activities, but that is not how it should work. And the Frippery Static Workspaces extension available at http://extensions.gnome.org is not compatible with Cinnamon. Actually, all extensions available on that website are not compatible with Cinnamon. 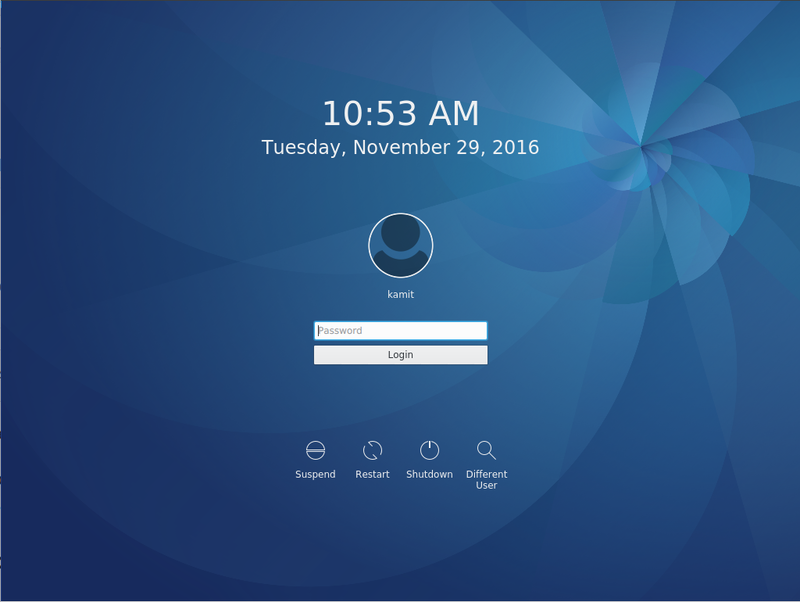 Despite the few shortcomings, Cinnamon is a refreshing attempt, and it does bring something to the desktop that has the potential to be special down the road. I hope future updates will make that happen. The next few screen shots show some of the good and no-so-good features of Cinnamon. 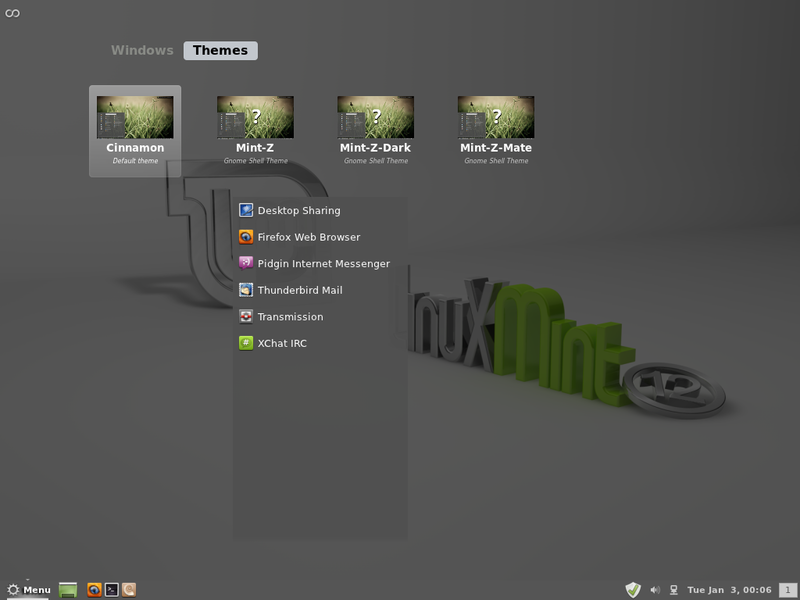 This one shows the default desktop. The panel sports just one workspace. The Activities view. This is no longer needed. The themes view. It replaced the Applications view. Like Activities, it is no longer needed. 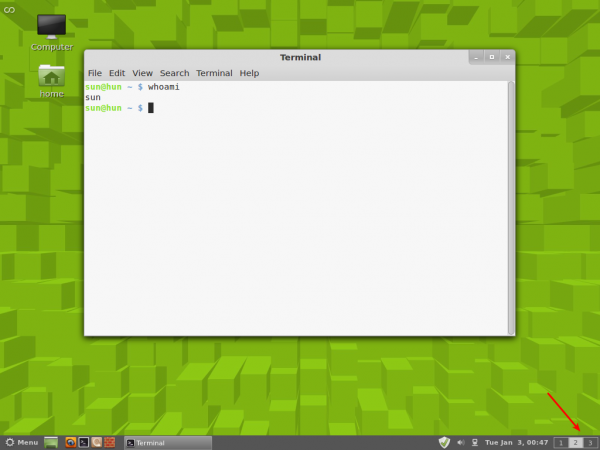 This shows a buggy aspect of Cinnamon. Sometimes a floating section of the menu appears on the desktop when the menu is clicked. Right-clicking on an entry in the menu gives you the options to add it to the panel, the desktop and the Favorites column of the menu. And it is just as easy to remove an entry from the menu’s Favorites column. You can add or remove items from the panel by right-clicking on an existing application icon. This is also nice. This screen shot shows the desktop with three workspaces (see arrow). A new workspace is created automatically when a new application is opened. We need a user-configurable and fixed number of workspaces. 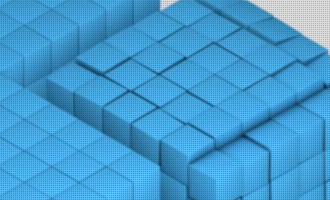 Just one more screen shot of the desktop with the Cubes wallpaper. If your a Linux newbee or relative newbee or recent convert from MS windows then I have to say all this Gnome, gnome version 2, gnome 3, gnome shell, MGSE, Mate & Cinnamon stuff is excruciatingly confusing to say the least. Look I’m an intelligent person with quite a few years of IT behind me and even I have had to do extensive research & reading to finally grasp what the difference really is between MGSE and Mate for example. Its very hard and potentially off putting for Linux new people to be confronted with such complexities. The greatest asset of the free software/open source community, is there is no single controlling entity. And the greatest weakness? There is no single driving force, so you have a myriad of projects trying to do the same thing. This results, in many ways, to ill-conceived and weakly executed projects. Most developers seldom take non-technical users into consideration when designing their programs. They code for people just like them. Well, just like some of the other comments, I am also mystified about this whole thing. 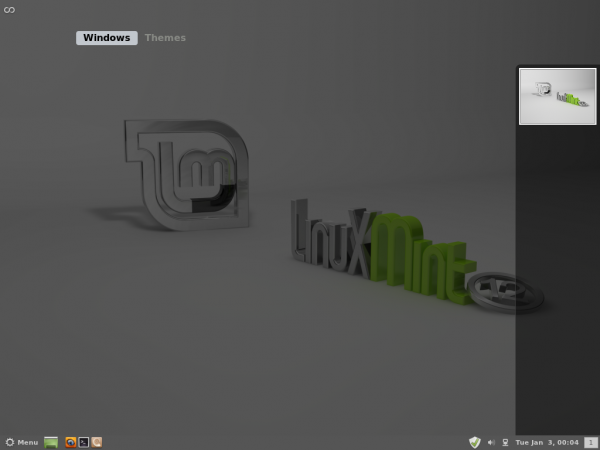 Now, me, I am not a linux master but just a user. The command line still for me is irksome, but will go there if need be. I use Ubuntu 11.10 on my desktop, and Linux Mint 12 on my laptop. 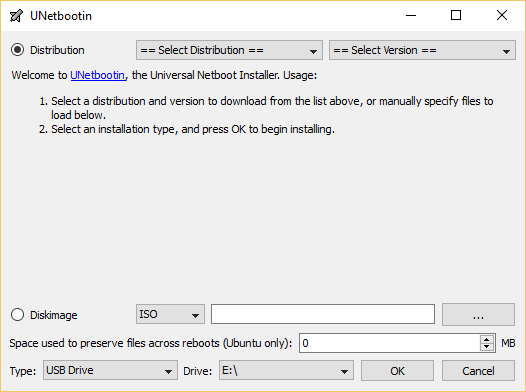 I need to have something that with two clicks or less, I can find, and start a program and have it rock stable, fully usable and will not crash the system. I struggled with the small things back in 2004 when Ubuntu was introduced to me, but I stuck with it and things got better. Changing the alert sound for new mail never worked and I couldn’t figure a way to make it work. I said surely they will fix it soon. You could pick a new sound but I couldn’t get it to play either in Evolution or TB. Late last year, I download LM12 and, wow, here is the sound. Why, did that take 7 years? I know some of you knew how and fixed in 2004 and I tried but gave up and so I just waited. But I think, if you have the option in the program you would kinda think it should work. That is all I ask. Now here is another question with all this going on who do you send money for thanking them for their hard work. Do I send it to Ubuntu or Linux Mint? 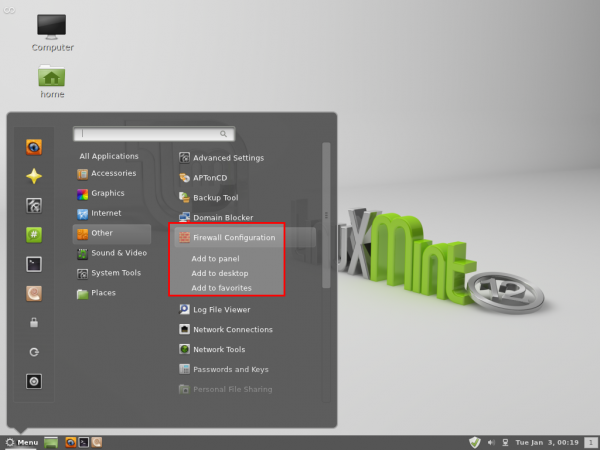 If you send it to Linux Mint and they get the knowledge base from Ubuntu then how could that be fair. 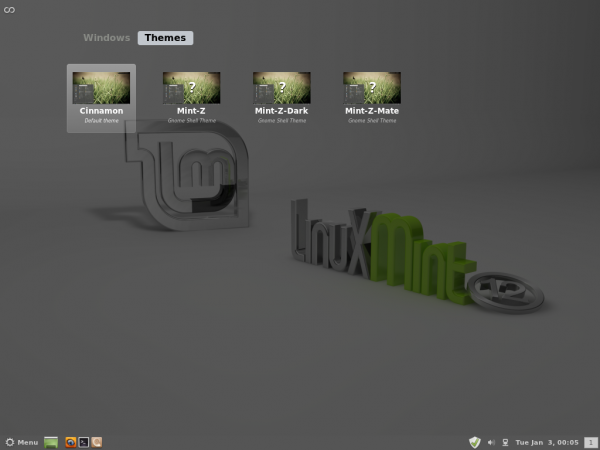 I like Linux and whatever distro “wins”, I will use. “Wins” is probably a poor term because the way it looks from just a user point of view, that Linux may self destruct from within just because of the different routes being taken (get so many distros that a newbie like me couldn’t make a decision on which one to use or which one is best). And after these years, I still feel like a newbie, maybe I should give up and go back to Ubuntu 10.10 where I did feel more comfortable, even if I couldn’t get the email alert sound to work. Thanks for listening to my frustration. Downloaded Audacity from the Ubuntu Synaptic repositories. Open from Applications – Sound and Video – Audacity. Close the notification msg on top of Audacity workspace, click file, open and browse to load your desired soundfile. In the project rate box at the bottom my 11025 value showed up in the box. Open the box and select 22050. Next your file needs to be saved at this sample rate. However it seems, that although you can save directly, the only way to make the saved version useable by Thunderbird is to use the file – export function from the top menu list. Save the file in the directory of your choosing by exporting and close out Audacity. 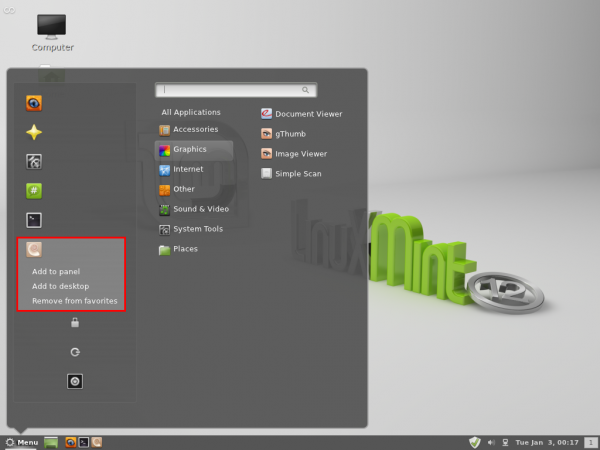 In the Ubuntu Top Menu, select System – Preferences – Sound – Sounds – Desktop/New Email and click on the default sound setting. Choose custom and browse to your new sound file’s directory and select your sound. When done, close out this feature and start up Thunderbird. On the top menu click edit – preferences and under the general heading in when new mail arrives, enable play a sound and use the following soundfile. Browse to your soundfile’s directory, select your file, close out this feature and send yourself a test email . So, you are saying this few weeks old project, with a few developers, hasn’t successfully completed their break from the fork point? I FULLY expect every similar software project to be completed within a WEEK and it should only need one developer (if that!). Ugh, they are clearly not done with this, and there are months yet before the next Mint release. Relax. I won’t be using Mint b/c Shell is more interesting, has many more developers, is trying a genuinely new interface, but I am grateful for what Mint is trying to do. Really, I wish they’d break completely away from Ubuntu since they are sharing less and less with them. Cinnamon is an alternative to the wretched “Unity”. 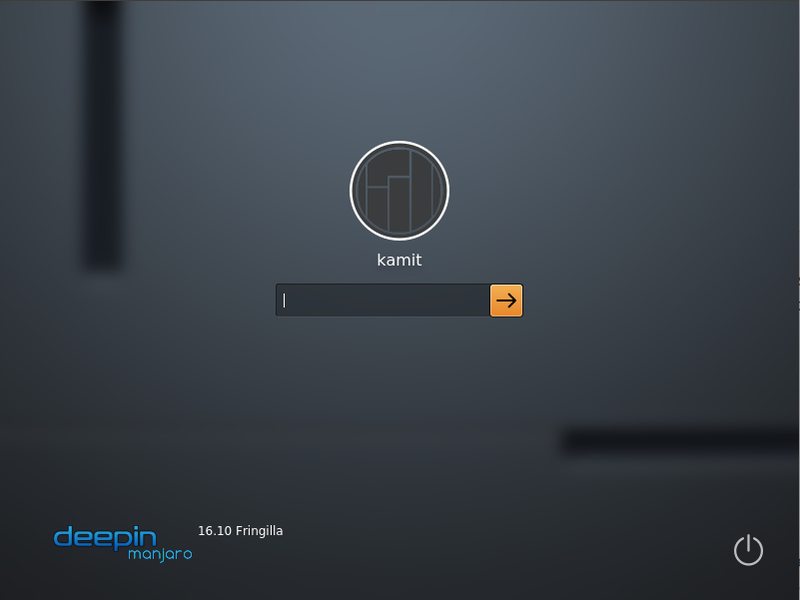 It needs work but is the best yet effort to create a familiar desktop on the Gnome 3 code base. I don’t understand all the drama. Good people are wasting hours tinkering with GNOME, basically trying to make it do what KDE already will do. If KDE’s too big, there are always LXDE and XFCE. I’m not a troll – just a 15-year KDE user who’s mystified by all this. I think there’s a degree of determination to force Gnome 3 to stop being such a grotesque turd of a GUI. Merely changing to KDE would be an admission of defeat. Don’t understand it myself – KDE treats me like an intelligent being capable of making my own decisions – Gnome treats me like a stupid child who needs everything done for him. Every aspect of Gnome is out of control if your looking in any way for a complete STABLE desktop, period. Gnome, Unity,Shell and Cinnamon gui are totally out of context with the real world usable desktop. Mint 12 has more bugs than a giant ant hill. These Gnome releases all look like beta’s and never should have been released in the first place. Everyone in Redmond has to be laughing at Gnome as its no better than there Vista ever was. 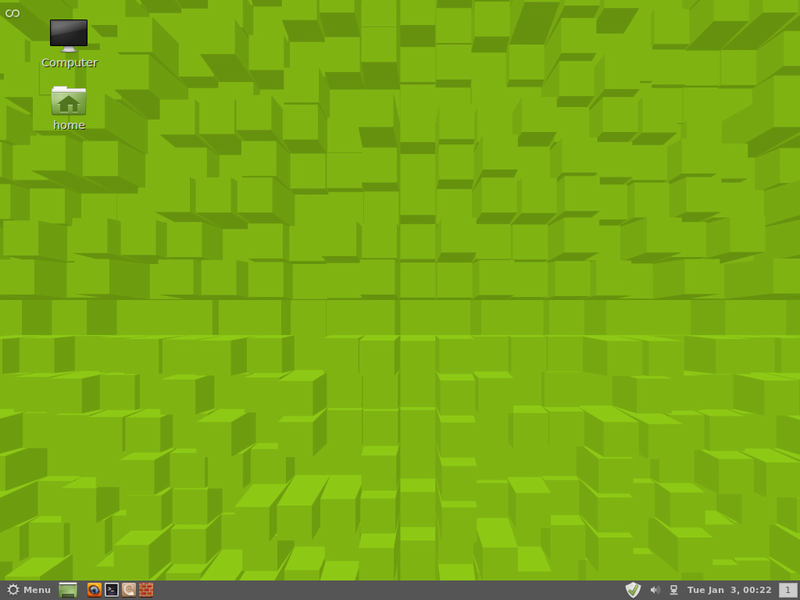 I’ll stick with Fedora 16/kde or Kubuntu 11.10/kde and won’t look back. Gnome better wake up as it dosen’t know who their market really is. Fedora 16 KDE is very good. Best release ever from them. 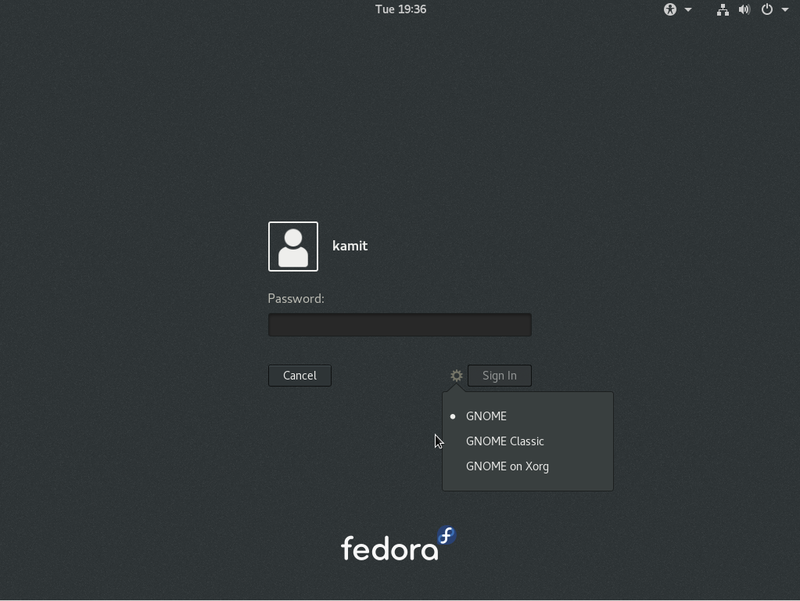 Redmond may be laughing at Gnome but they haven’t heard of KDE. Also, it’s funny that you say gnome is a jack of all trades where that is EXACTLY what KDE purports to be. 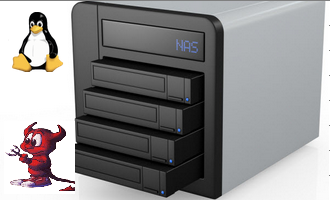 It offers tons of gui options, they just aren’t well tested and there is no integration. Gnome offers limited options but they are integrated and well tested, hence why you haven’t been hearing widespread cries of instability. hence why you haven’t been hearing widespread cries of instability. A stable turd is still a turd. 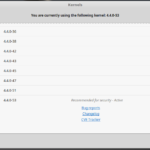 KDE – not integrated and not tested? I use Cinnamon (not exclusively) and I agree that it’s a refreshing alternative to the horrible mess that GNOME 3 has become. I most often use MATE or XCFE, MATE for its familiarity, and XCFE for a usable, powerful desktop that, in its 4.x incarnation, didn’t try to fix what wasn’t broken. Right now, gnome-shell and Cinnamon require 3D enabled video hardware. This is a problem with Gnome’s ‘mutter’. Clement Lefebvre is forking ‘mutter’ as well and one of the goals of this particular fork is to enable 2D gnome-shell and Cinnamon capability.